Enough with the reboots already. Too many frogs plaguing a hot, weird place has been done, and this just seems like a cynical attempt to get us on board for the eight sequels and bloody prequel. 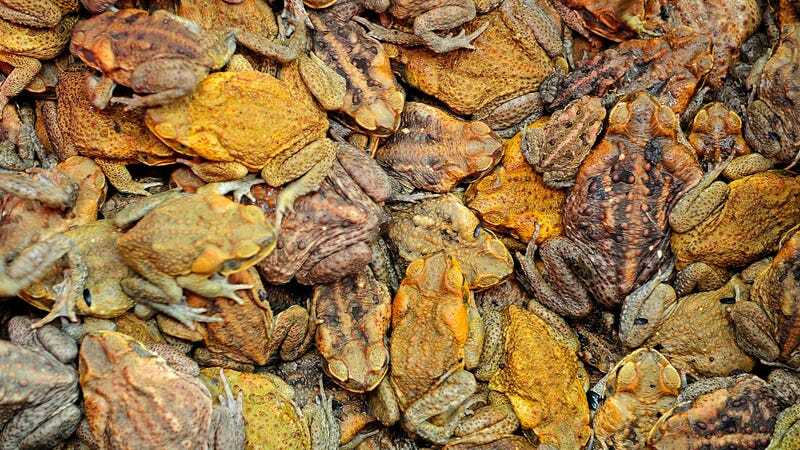 Because Florida apparently has not been plagued with enough pestilence and darkness by bearing the blight of Mar-a-Lago, the state is currently overrun with cane toads, which secrete a milky, poisonous substance that is toxic to humans and pets. For those at home playing end times Bingo, if we’re following the order of the originals, next up is lice.